Older houses can sometimes come across as great real estate deals with hidden liens attached. The only way to make this a profitable deal is to find out what these are and how much they amount to first. Usually, these apply to foreclosures and other properties where homeowners are trying to sell the lot quickly. In order to find out exactly what is owed, you need to check with the right city office. They can tell you which liens have first priority and what it will take to own the property outright. If you’re interested in trying to buy a home for less than the market value however, this is the perfect place to begin. Depending on how much you have saved up, you could end up getting a house for thousands less than expected. If you are already planning on making a cash offer, then why not start with a bargain deal versus the full priced versions of the same square footage? As a real estate investor, you need to know what these liens are and who has priority as well. This is the only way to know how much profit you’re going to make on any properties and whether or not it’s really worth your time. There are certain areas in town that are going to have more of these purchases available and you’ll probably have experience buying there before. However, if not, talk to the local real estate agents to see if they have a list of properties ready to share with you. Some of these opportunities might also be available for a fraction of the lien price. If you’re buying more than one lot at a time, they may give you a discounted price just to get rid of the non-profitable locations. This is especially true if you’re dealing directly with a bank and they know you have the financing ready to go. Paying cash also helps you negotiate a lower price, even lower than that offered to a single investor purchasing just one house. Keep in mind that just because a property is available for the low price of a lien, it doesn’t mean that it’s a great deal. There could be a myriad of repairs necessary to make it livable or it might have serious subsidence issues. 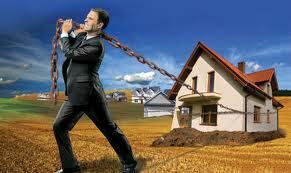 You can purchase properties with liens attached and build up your real estate portfolio. However, you need to be smart about your locations, the types of homes you buy and what your responsibilities will be afterward. Then, your real estate investment skills will improve and you’ll learn how to make money on these deals every time.